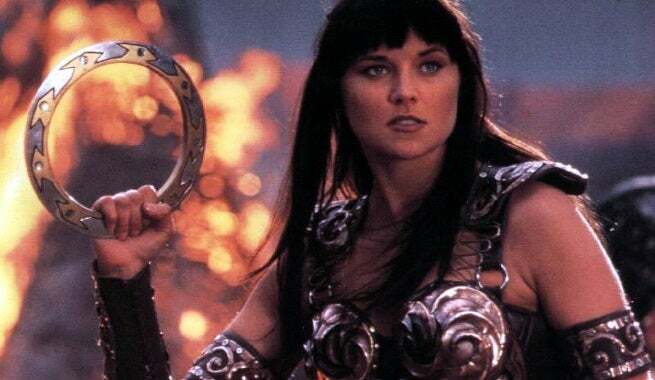 From the TCA conference, NBC Entertainment chariman Bob Greenblatt has confirmed that a Xena reboot is in early development at the network. "Yes, we're in the early stages of developing a new take on Xena and we're looking for a writer. We want to do it," Greenblatt told THR. The Xena reboot has recently been rumored to be in development with original series executive producers Sam Raimi and Rob Tapert. The rumors suggest that NBC is looking to take the “charisma and charm” of Lucy Lawless’ Xena and add in the intelligence of Katniss from The Hunger Games to create a sophisticated fantasy superhero for a new generation. Greenblatt also said that he’d love for Lawless, who is married to Tapert, to be a part of the reboot, so long as her presence didn’t “overshadow” the new series. "We'd love to have Lucy be a part of it — if we felt that her presence didn't overshadow the direction we take with it. I'm not sure how she could be part of it if she wasn't playing Xena, and I don't know if that's a direction we'll ever go." The Xena reboot is said to be looking to air in 2016.